Has a BA in Portugese-Brasilian studies from Sophia University in Tokyo. She began studying acupuncture in 1986 at the New England School of Acupuncture where she learned basic TCM and Japanese acupuncture methods. Among her teachers was Kiiko Matsumoto. She has been practicing Japanese acupuncture continuously since graduating in 1989. She started studying in Japan before completing her basic studies. First with Yoshio Manaka (in 1988) and then with a number of Toyohari instructors (from 1988 – the present). Her studies with Toyohari instructors were in Japan, the US and Europe and involved studying with Kodo Fukushima, Toshio Yanagishita, Akihiro Takai, Shozo Takahashi, Koryo Nakada, Shuho Taniuchi, Michio Murakami, Hideki Sagawa, Fumio Sakata, Yutaka Shinoda and others. She has visited many different clinics in Japan and has thus observed many different styles of treatment. She began teaching Japanese acupuncture at the New England School of Acupuncture. She is now an internationally known instructor in Japanese style acupuncture methods, including the advanced methods of Toyohari – East Asian Needle Therapy, lecturing around Europe (Holland, UK, Germany, Ireland, Switzerland) and occasionally lecturing in the US and Australia. She is the co-author of the book Japanese Acupuncture with Stephen Birch. 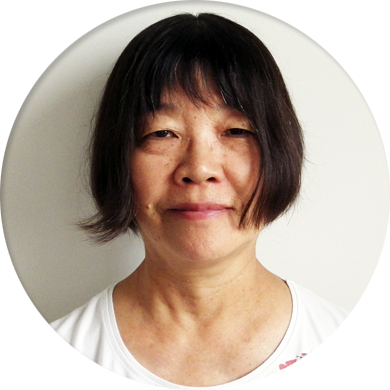 She is co-author of a number of articles on acupuncture and is working on a translation of Toyohari teaching materials. She is also an internationally known instructor in Japanese acupuncture. She teaches Japanese acupuncture methods in Amsterdam and London, teaches the basic and advanced Toyohari programs in Amsterdam, and has taught other workshops in various locations. She is also a founding member and President of the European Branch of the Toyohari Association, and a founding member and treasurer of the Stichting (foundation) for the Study of Traditional East Asian Medicine.